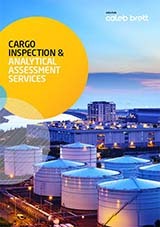 Chemical and petrochemical bulk cargo inspection and testing services. Intertek offers clients professional inspection and testing services for bulk chemical cargo commodity shipments on a global basis. Intertek provides critical quality, purity, and quantity services for valuable bulk chemical cargo, on a global 24/7/365 basis. Intertek (Caleb Brett) has been inspecting bulk commodity cargos since 1885, operating worldwide in major chemical and petro-chemical production, storage and transportation regions. Intertek is a member of IFIA.